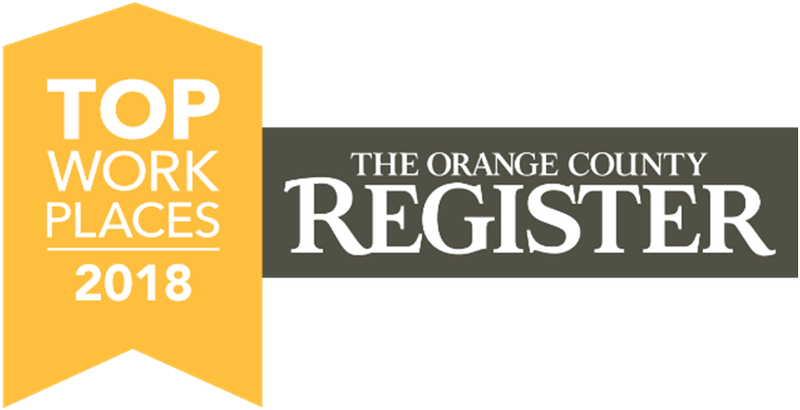 Toshiba Wins 2018 Orange County Register Top Workplaces Award | Industry Analysts, Inc.
LAKE FOREST, Calif., December 10, 2018 — Toshiba America Business Solutions today announces it is a recipient of the 2018 Top Workplaces Award by The Orange County Register. The Orange County technology innovator earned the honor based on employee feedback gathered through a third-party survey administered by research partner, Energage, LLC. The anonymous survey measured several aspects of workplace culture, including alignment, execution and connection. Southern California News Group operates 11 daily newspapers and associated websites in Southern California, including the Los Angeles Daily News, Daily Breeze in Torrance, Long Beach Press-Telegram, The Orange County Register, Pasadena Star-News, The (Riverside) Press-Enterprise, San Gabriel Valley Tribune, Whittier Daily News, Inland Valley Daily Bulletin, The Sun in San Bernardino and Redlands Facts. In addition, when combined with its multiple weekly newspapers, Spanish-language products and social channels, SCNG products will reach an audience of more than 8.1 million readers each week, with in-depth reporting on exclusive content focusing on local news, politics, sports and entertainment relevant to the communities it serves. Headquartered in Exton, Pa.,Energage (formerly known as WorkplaceDynamics) is a leading provider of technology-based employee engagement tools that help leaders to unlock potential, inspire performance, and achieve amazing results within their organizations. The research partner behind theTop Workplaces program, Energage has surveyed more than 50,000 organizations representing well over 17 million employees in the United States. TABS provides content creation and management, displays, integration, installation and project management services as well as financing for solutions ranging from a single screen to the biggest arenas and stadiums. For additional information, please visit business.toshiba.com. Follow TABS onFacebook, Twitter, LinkedIn and YouTube. This entry was posted in Toshiba and tagged 2018, award, Orange County Register, Top Workplaces, toshiba by IA Staff. Bookmark the permalink.